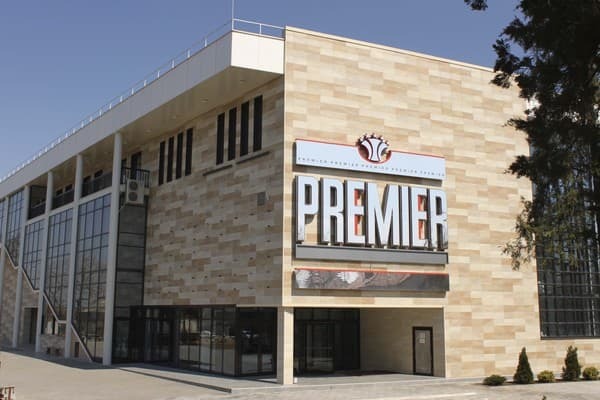 The cultural and entertainment complex "Premier" is located on the bank of the river. Dnepr at a distance of 3 km from the center of Nova Kakhovka. There are 25 rooms in the hotel. 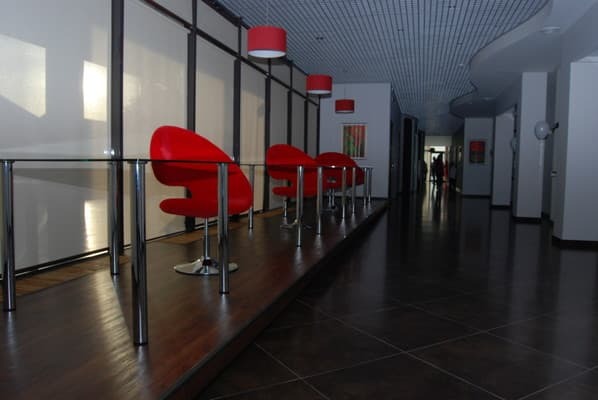 There is also a restaurant with European cuisine, spacious banquet halls, a conference hall. The restaurant has summer pavilions in the territory. The bar of the complex will not leave indifferent the true connoisseurs of drinks collected from all over the world. 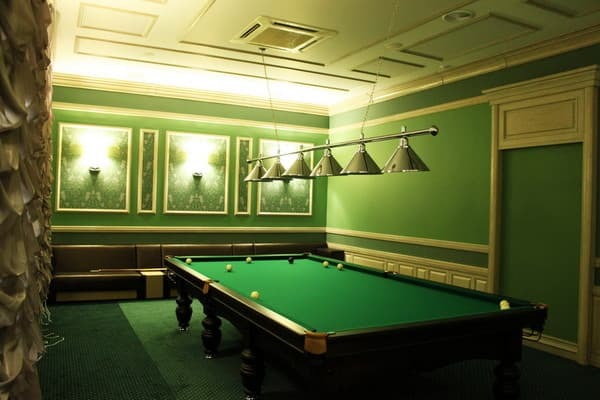 There is a bowling hall for 6 lanes, a billiard room in English style with two tables for 12 feet. Free guarded parking is provided. Description of the room: A cozy 1-room suite with all the necessary attributes for a comfortable stay. In the rooms there are double beds or two single beds, bedside tables, table, ottoman, TV, telephone. The windows and balconies offer panoramic views of the city, the picturesque nature and the Dnieper River. Additional place - 150 UAH. Description of the room: A spacious bright 1-room superior room with everything necessary for comfortable living and relaxation. The room has a large double bed, spacious wardrobe, coffee table, work area, bedside tables, chest of drawers, chairs, balcony and terrace with a panoramic view of the Dnieper. Additional place - 150 UAH. Description of the room: Cozy 2-room superior room with all necessary for a comfortable stay of the family. 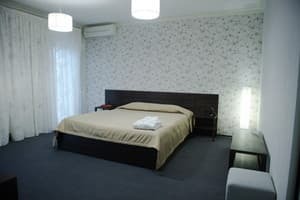 The room has a large double bed in one room and a single in the second, a spacious closet, a table, chairs, a balcony and a terrace with a panoramic view of the Dnieper. Additional place - 150 UAH. Description of the room: Spacious 2-room superior room, with everything necessary for comfortable living, productive work and relaxation. 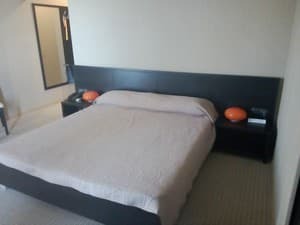 The room has a large double bed, bedside tables, a spacious closet, a perfume table and chairs, a chest of drawers, a sofa, a coffee table and leather padded stools. Each room has a TV with cable TV, as well as a balcony and a terrace with a panoramic view of the Dnieper. 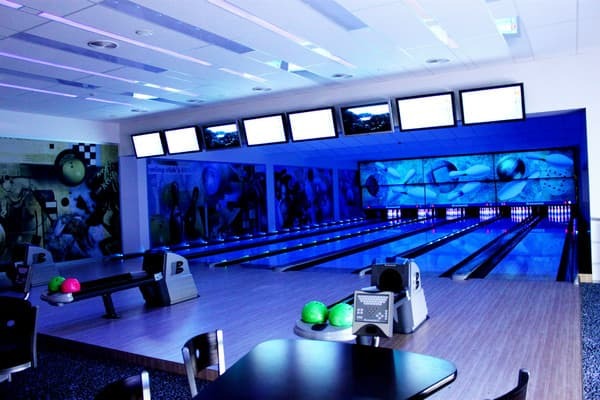 As a gift: breakfast, guarded parking, hour of bowling (from Mon to Fri from 10:00 to 18:00) as a gift! Additional place - 150 UAH. Accommodation of children and provision of additional places by agreement. On the territory of the restaurant serves European cuisine. In warm weather, guests can spend time in the gazebos. 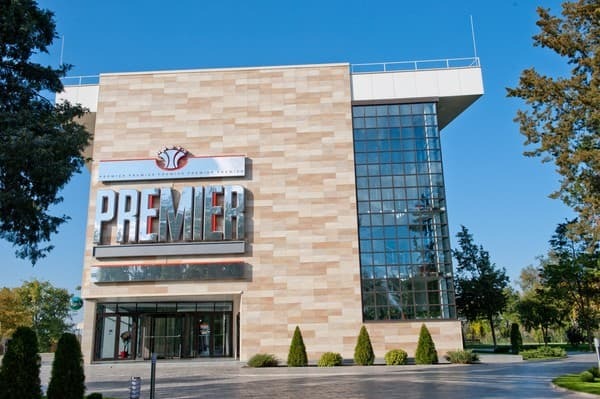 Hotel Premier is located on the bank of the river. Dnepr in the historical part of the city of Novaya Kakhovka, the distance to the center is 3 km. It's better to go by taxi in the city. To go by train to the city of Kherson, the distance to the hotel from the railway station in Kherson is 60 km. By plane To fly to the city of Nikolaev - the distance from the airport in Nikolaev is 150 km.